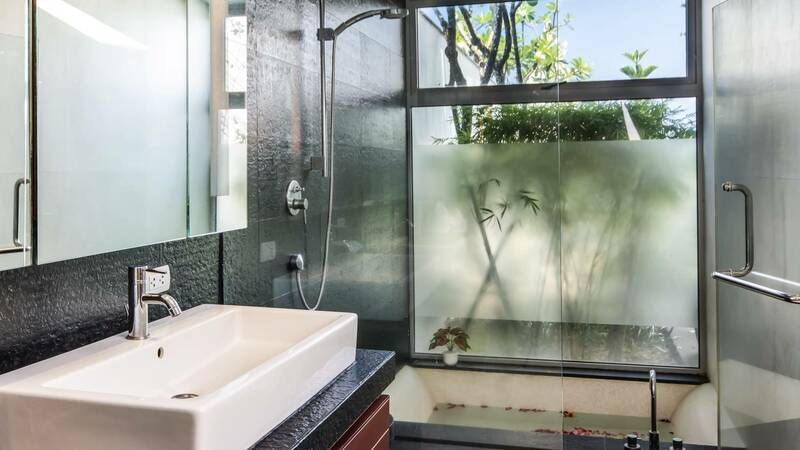 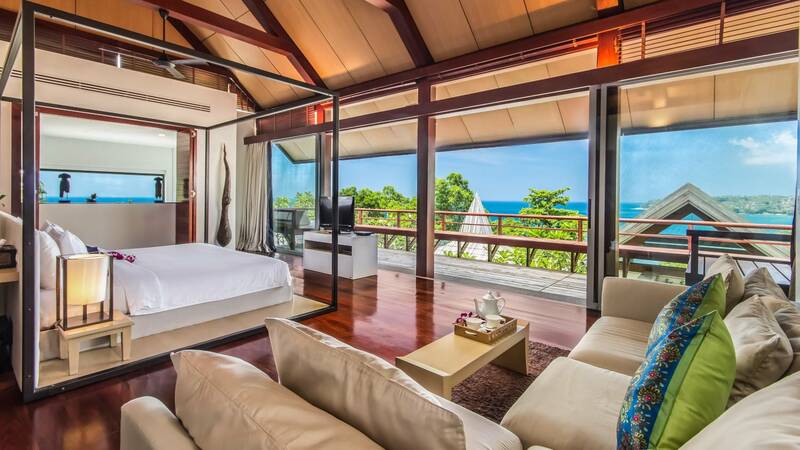 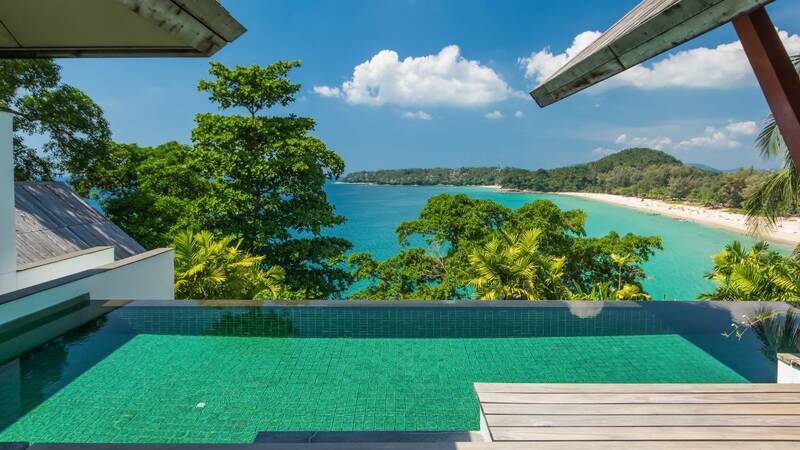 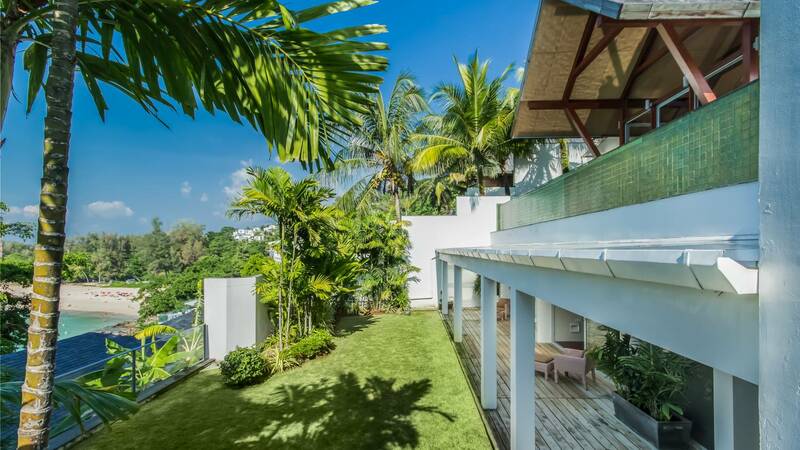 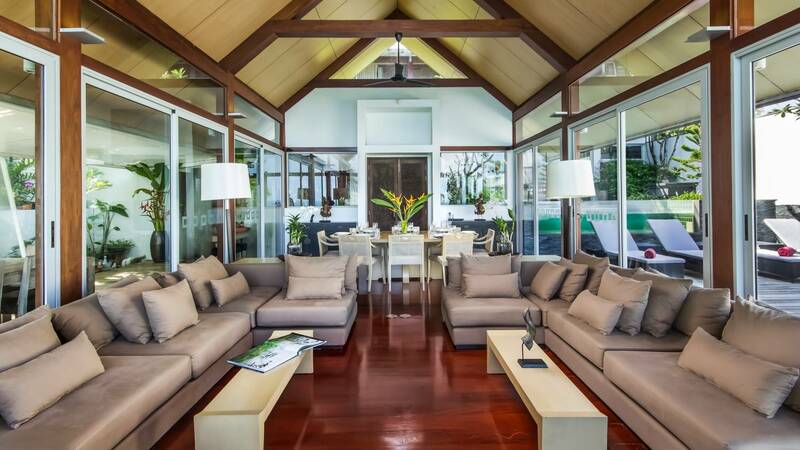 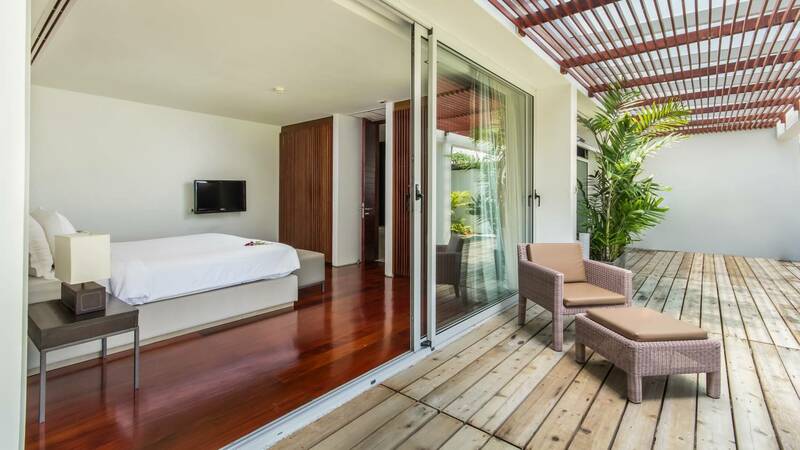 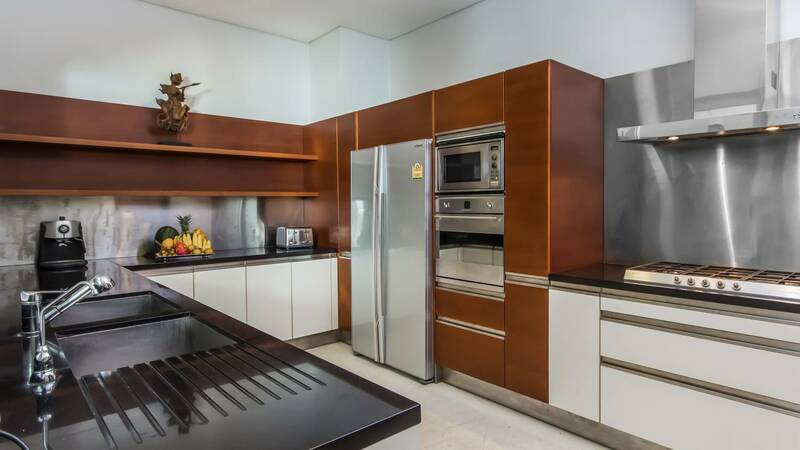 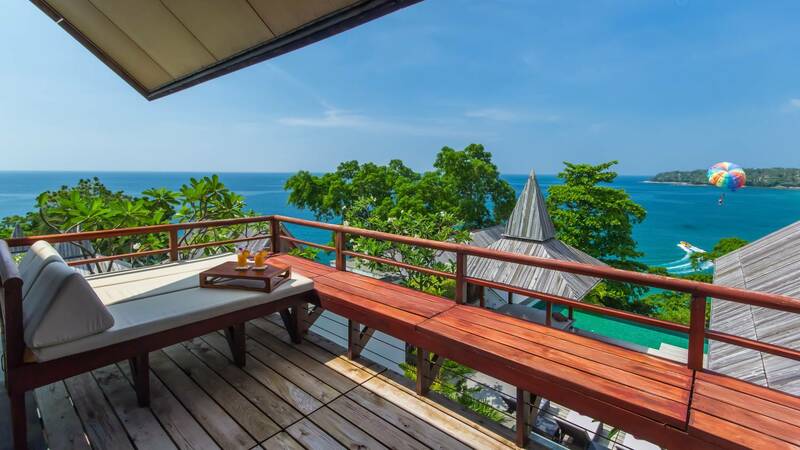 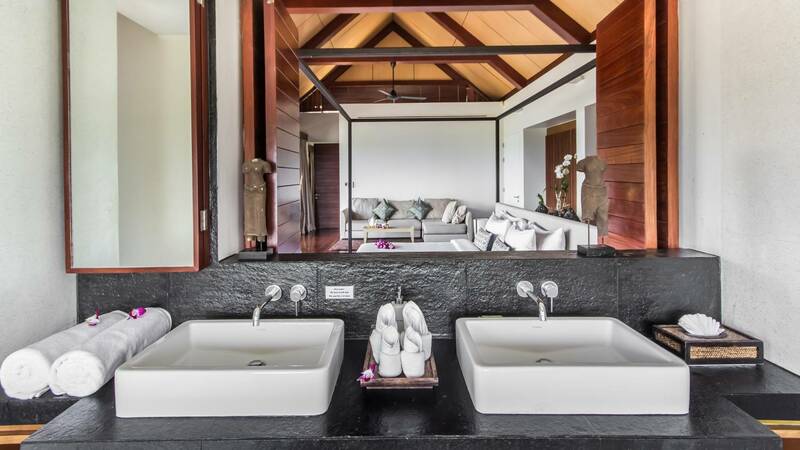 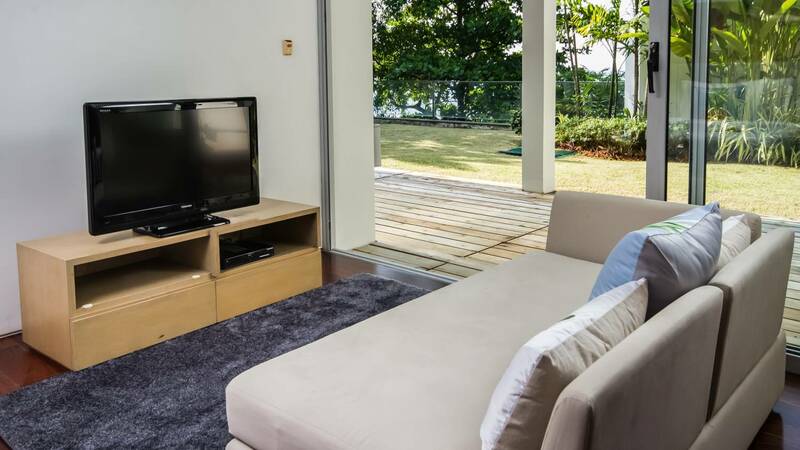 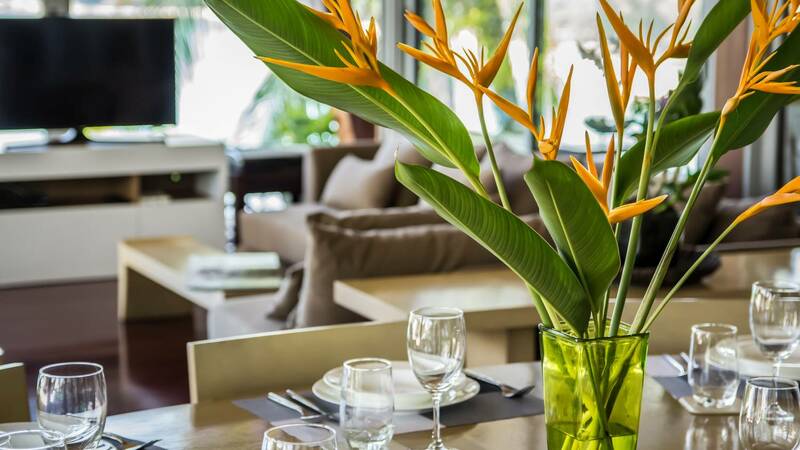 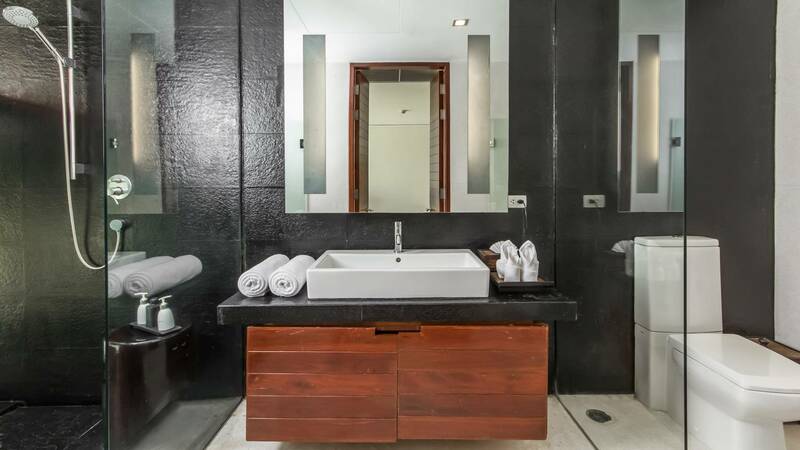 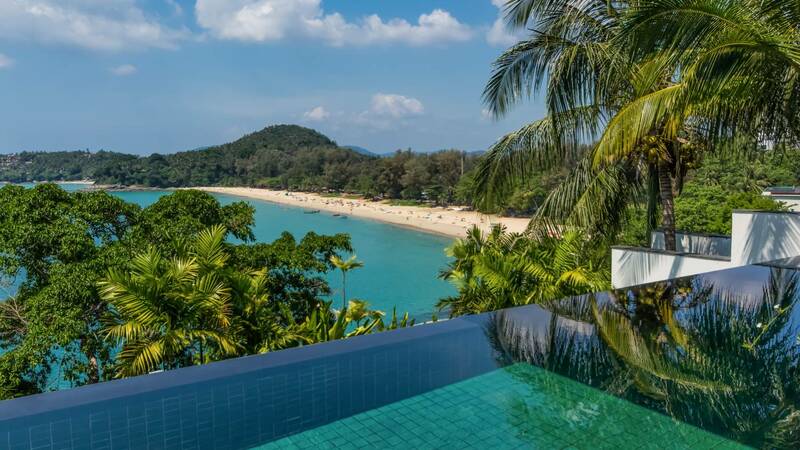 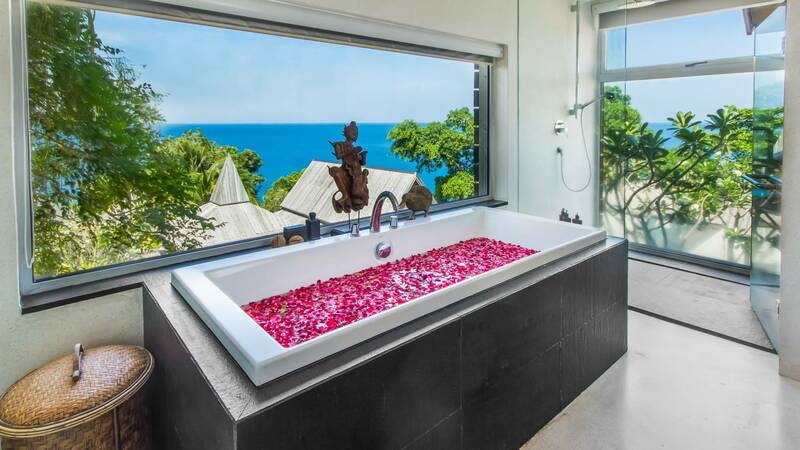 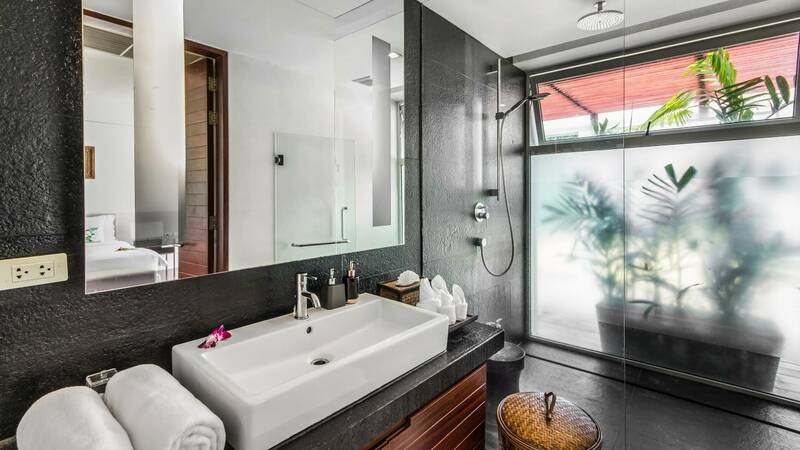 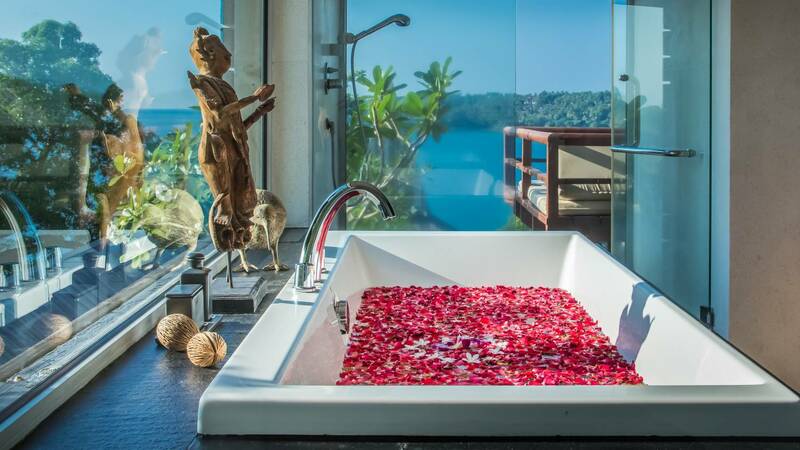 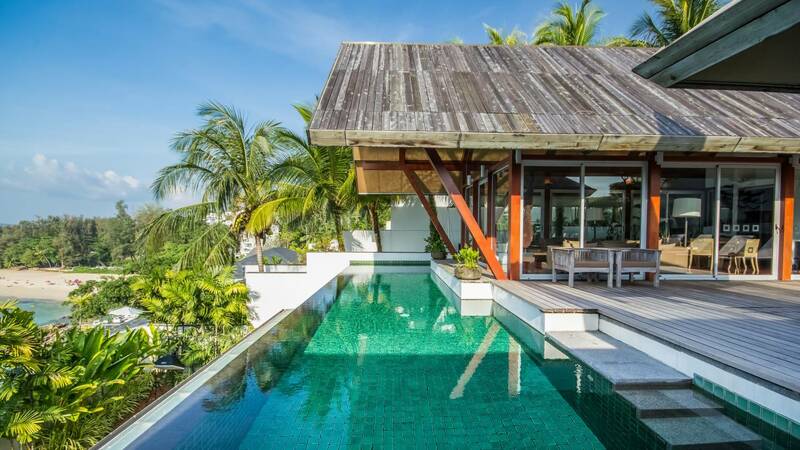 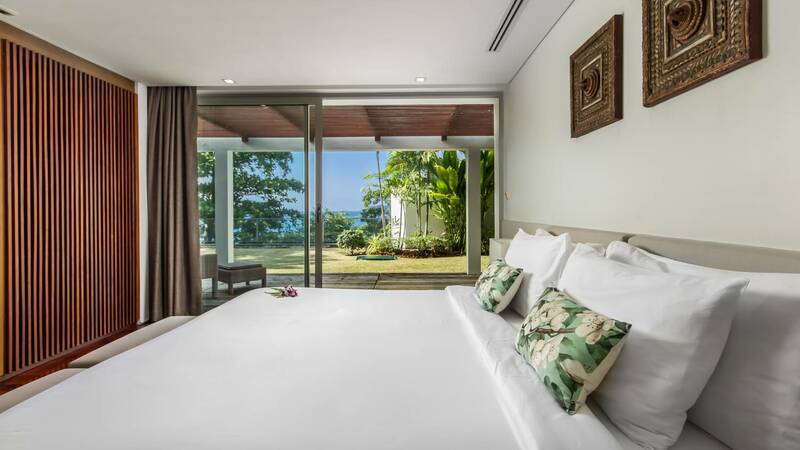 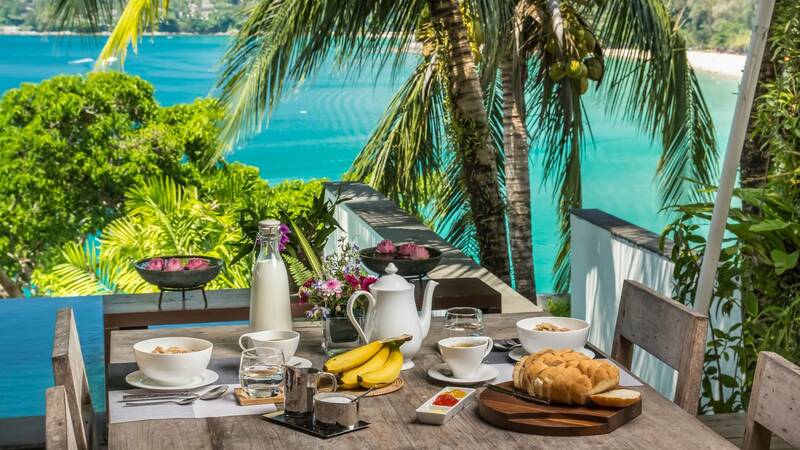 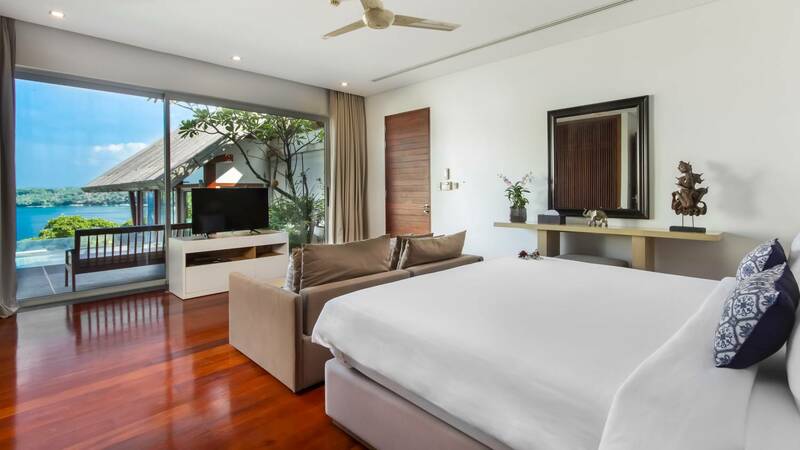 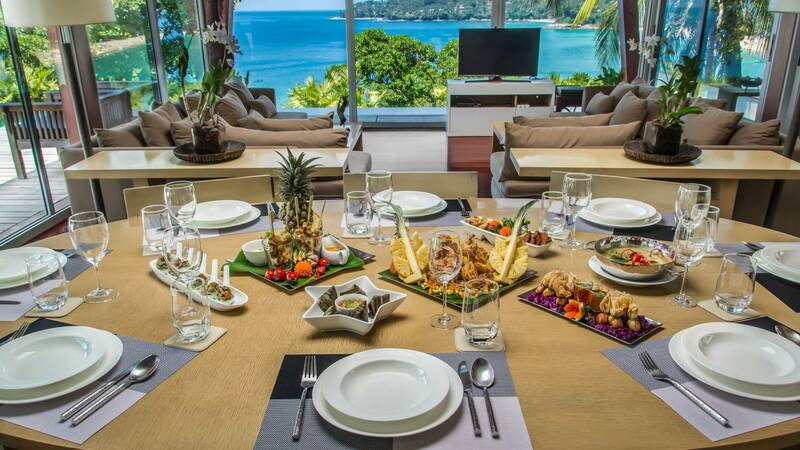 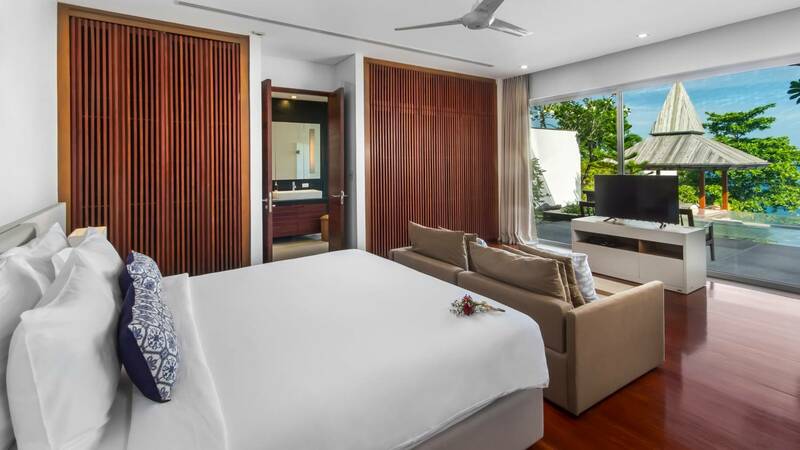 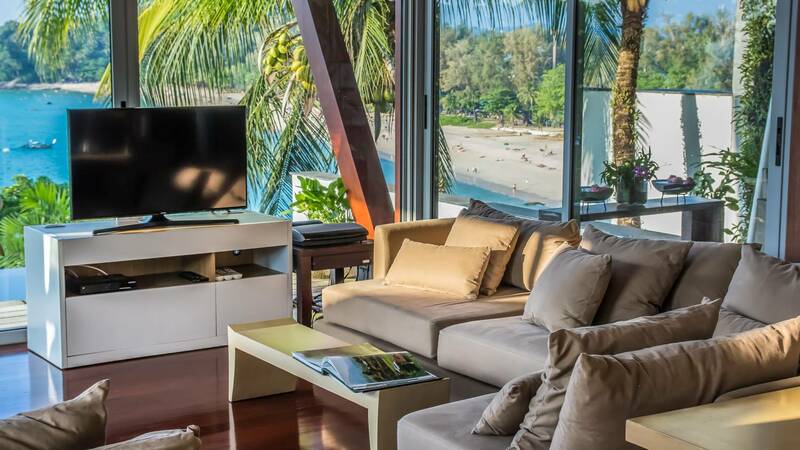 Absolute waterfront 4 bedroom Luxury Laemsingh Villa 3 with views over Surin Beach and the Amanpuri, two pools a Gym and direct walking access down to Laem Singh beach Set on the small headland between Surin Beach and Laem Singh Beach. 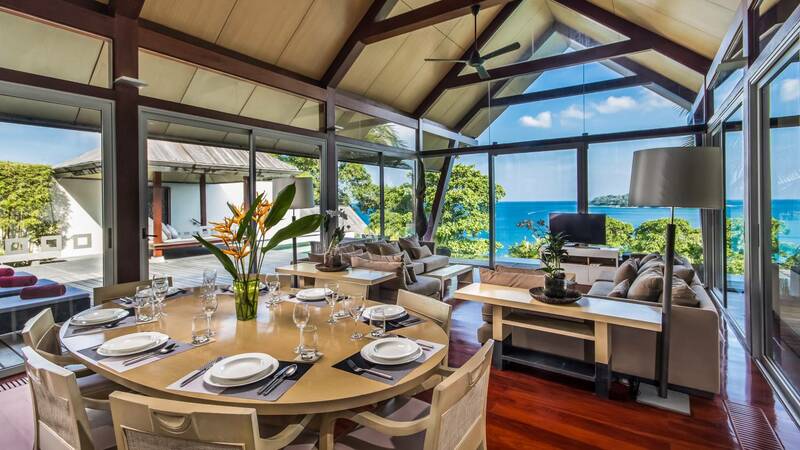 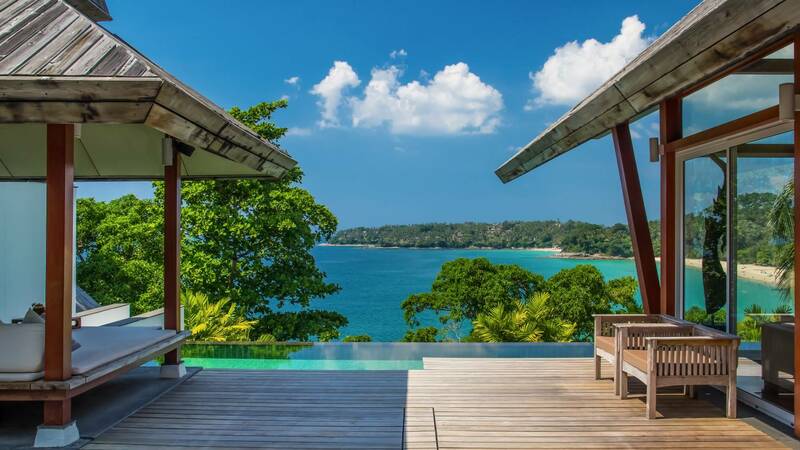 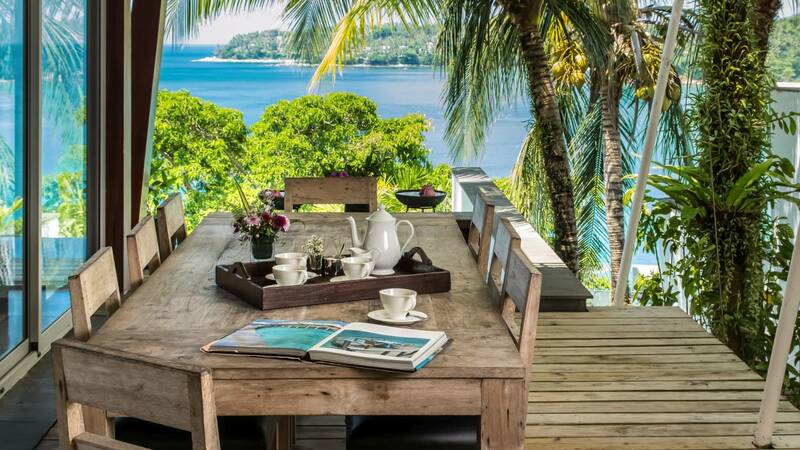 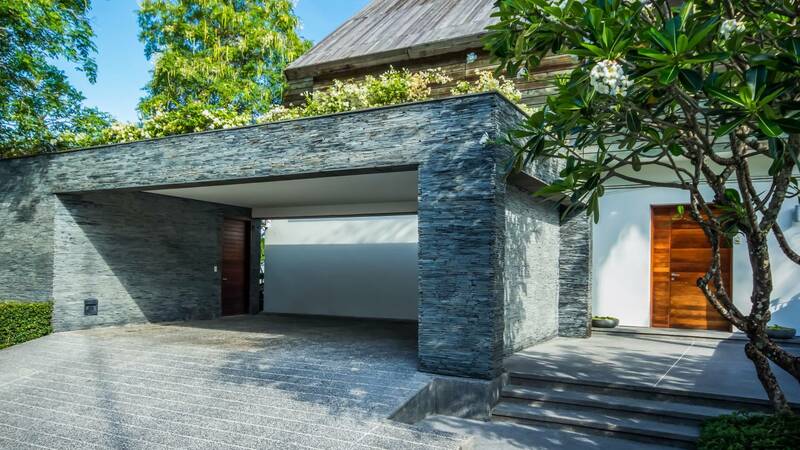 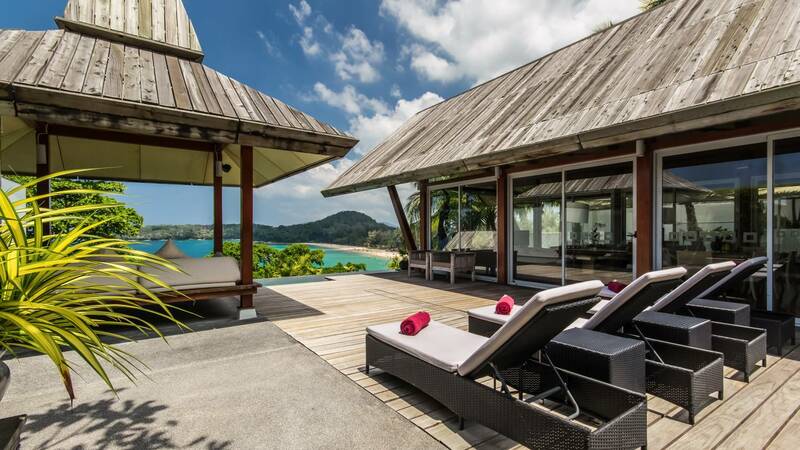 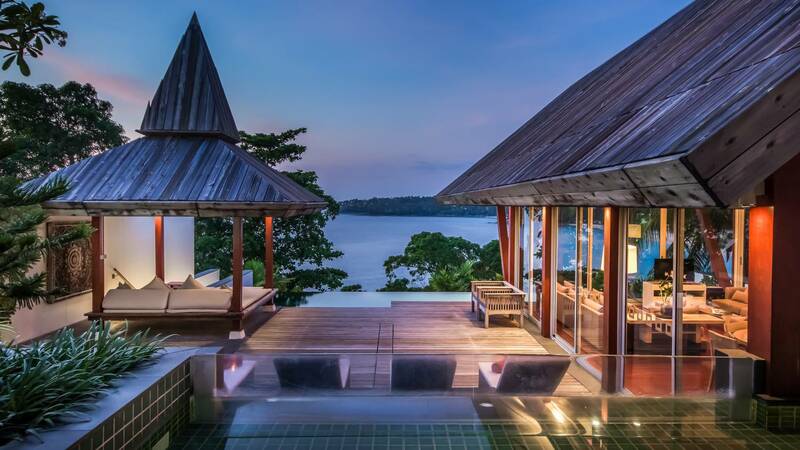 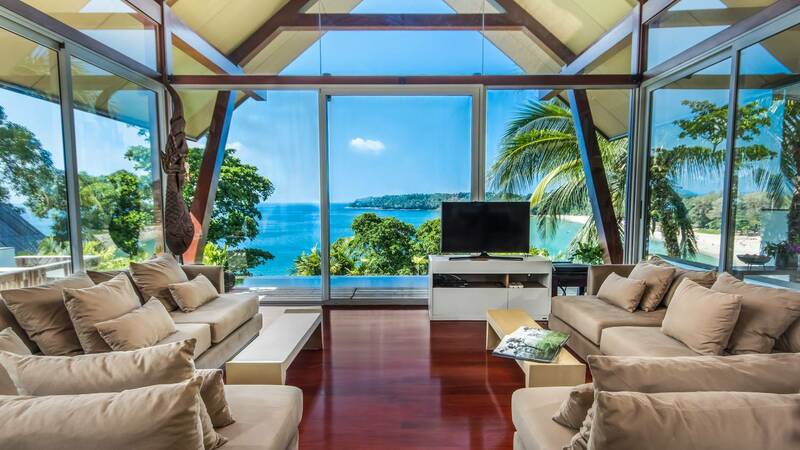 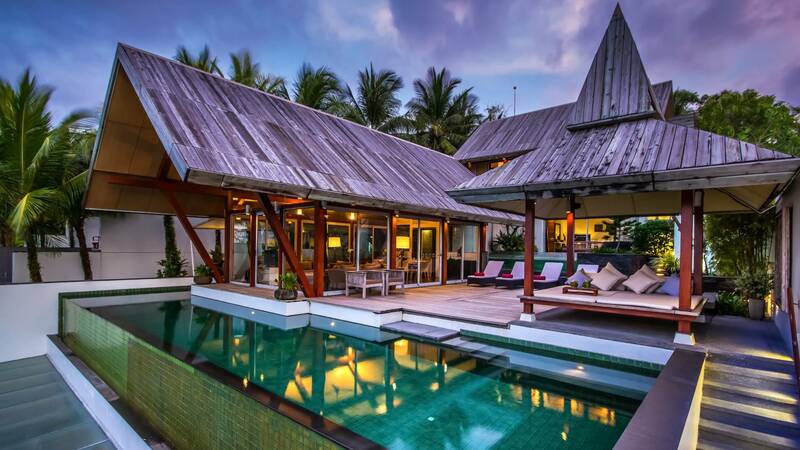 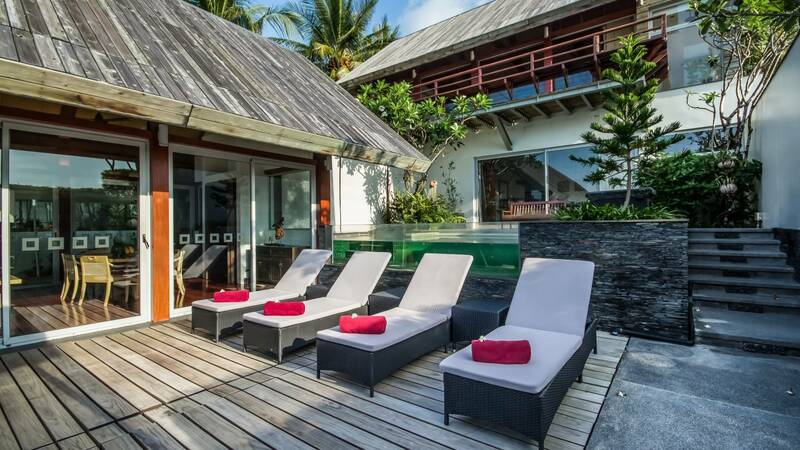 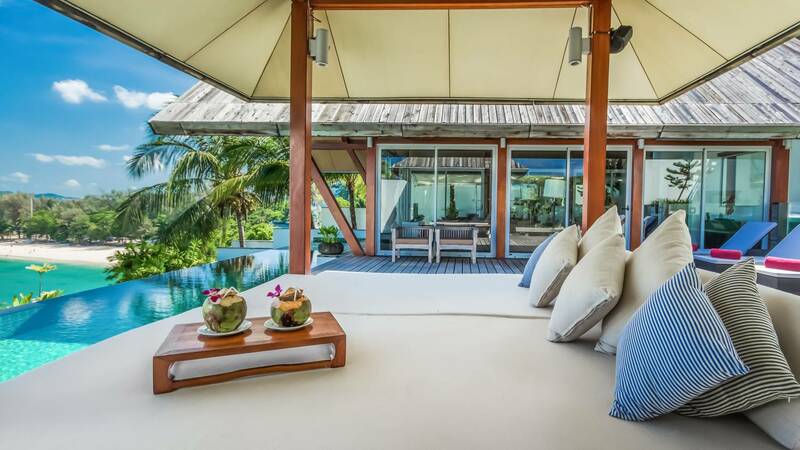 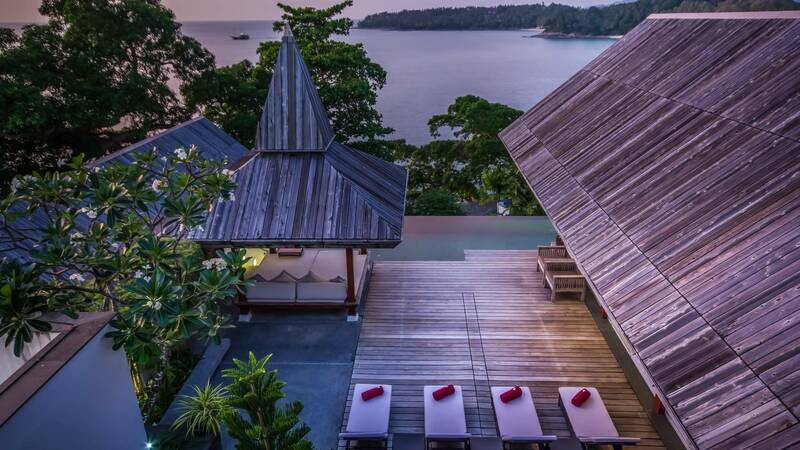 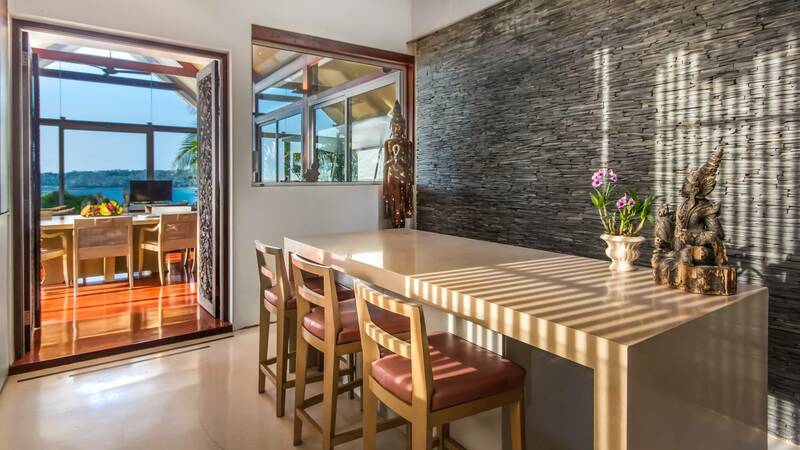 With walking access to both beaches this Ernesto Bedmar-designed Villa, completed in 2008 enjoys direct water views over Surin bay and captures the full sunset view. 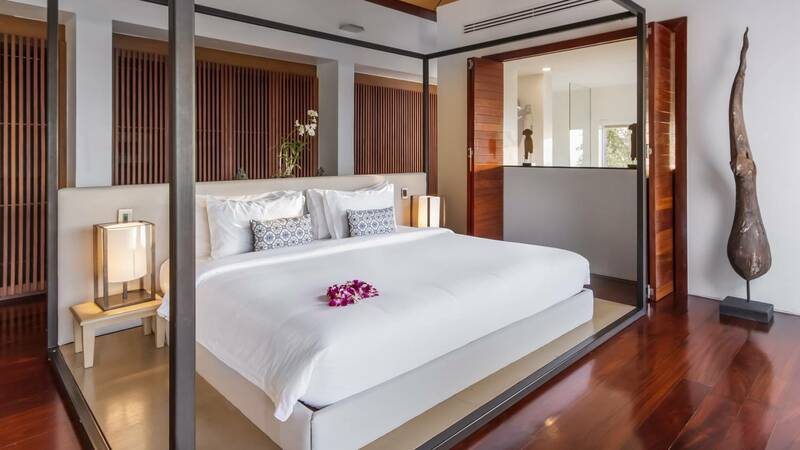 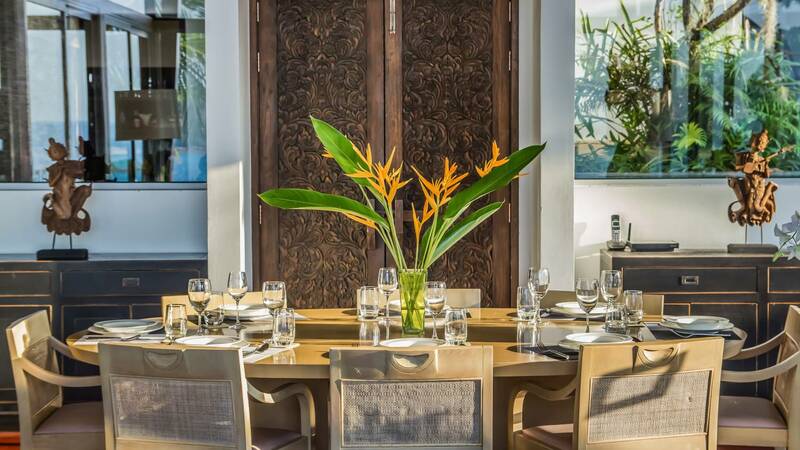 The designer interiors offer luxurious touches many 5-star hotels can only aspire to. 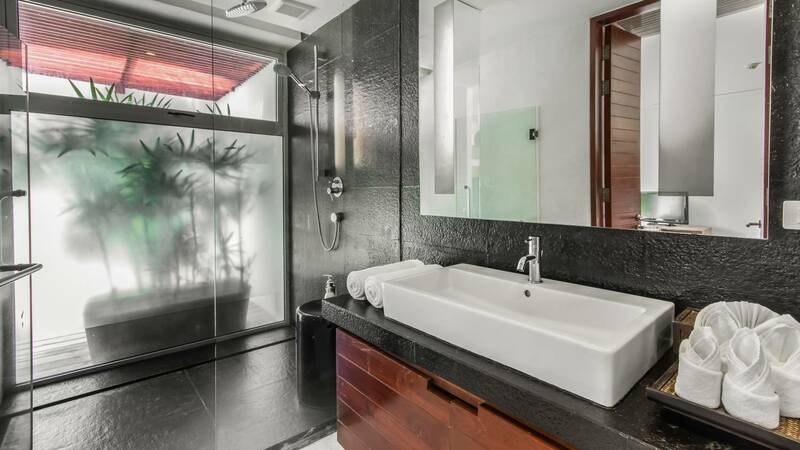 Features include preloaded itouch iPods in the bedrooms, Wi-Fi throughout, luxurious linens and DVD, personal butler/concierge and chef and a brilliant glass fronted pool with Jacuzzi lounge chairs! 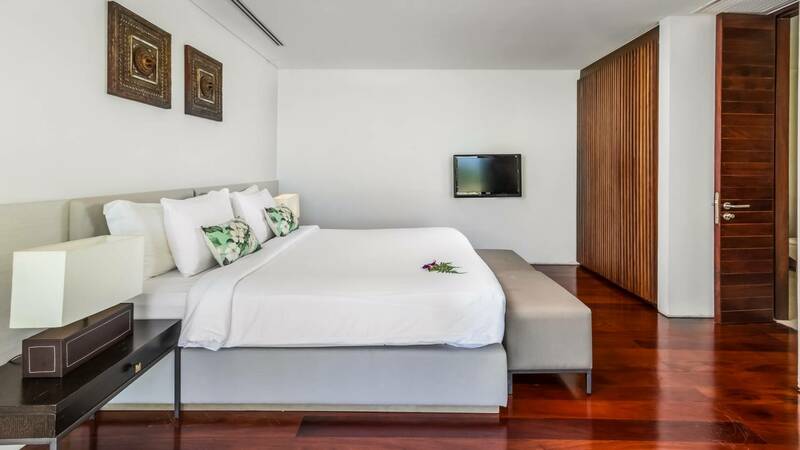 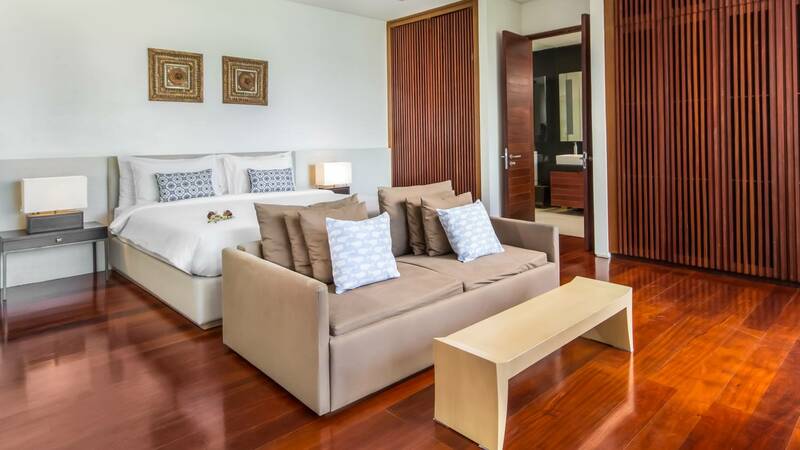 The second large bedroom on the main level can be configured with two twins or a large double bed and also offers a lounge, which can convert to a third bed if required. 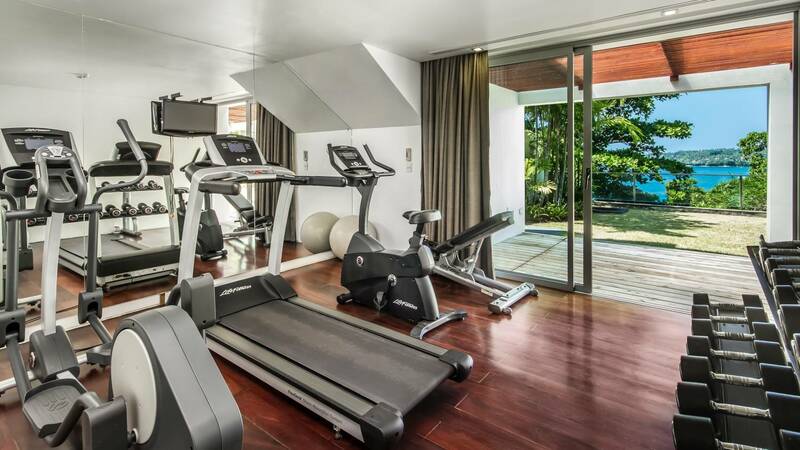 Separated for privacy on the ground floor are the other two bedrooms and a mini gym, complete with Life Fitness equipment. 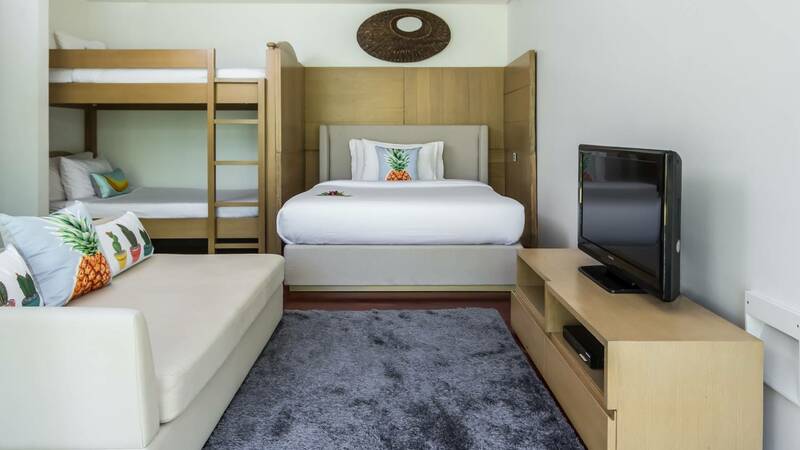 The third bedroom can be configured as a large double or twin beds and the fourth bedroom offers one queen sized double plus 2 bunks. 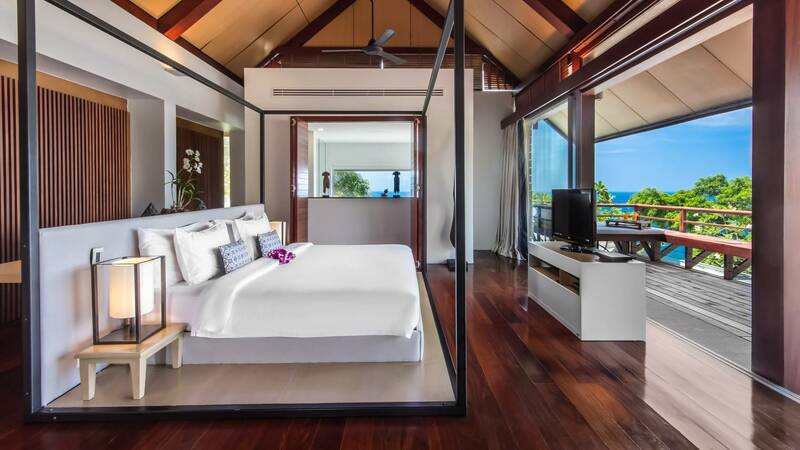 This bedroom is ideal for children complete with DVD's.